Dance - Learn Portuguese and discover Rio, Brazil - RioLIVE! 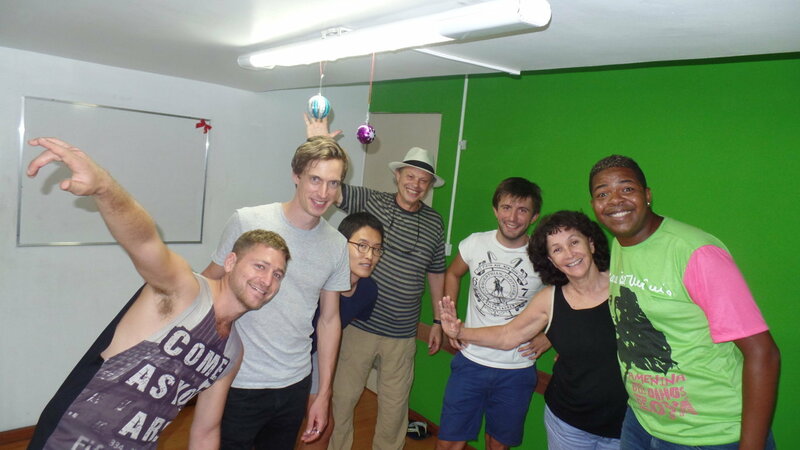 Having fun at Samba class. אני וזוגתי השתתפנו בשעור סמבה. היינו שישה חברה מתוכם שלושה ישראלים. מורה חמוד מאוד והצליח להלהיב אותנו ולהכניס אותנו לקצב בהתחלה ללא מוסיקה ובהמשך מוסיקה חבל על הזמן. זה היה כיף אמיתי במשך שעה ונראה לי שלמדנו הרבה יותר ממה שאפשר לצפות למשך זמן קצר כל כך. Samba Class at Rio and Learn. 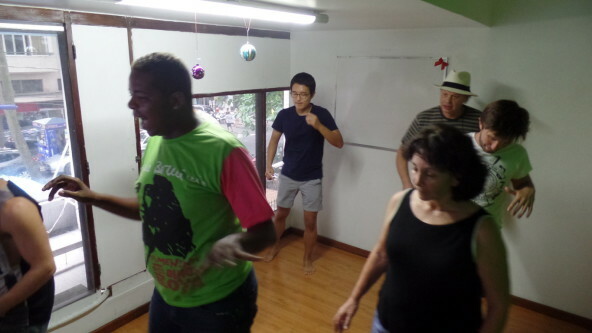 Learning how to dance samba isn’t one of the easiest things to do in Rio de Janeiro. Samba is a very popular rhythm well known all over the world. So, our RioLIVE! 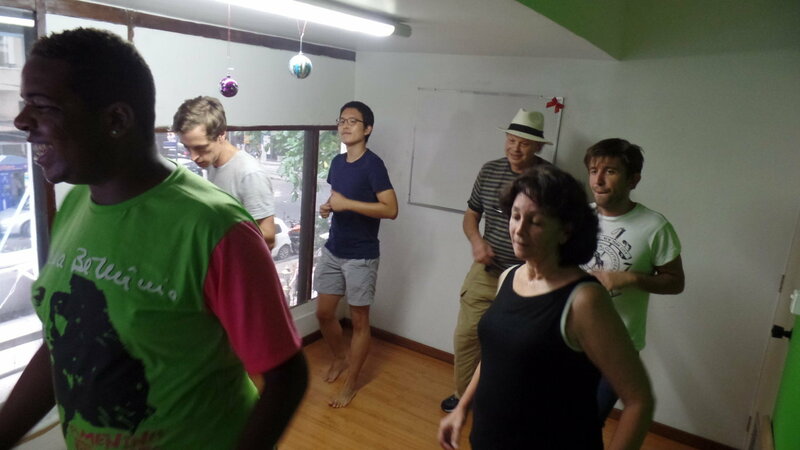 at this time gave our students the opportunity to dance samba and get ready for the new year party in Copacabana, since this year most of the artists will be samba artists. 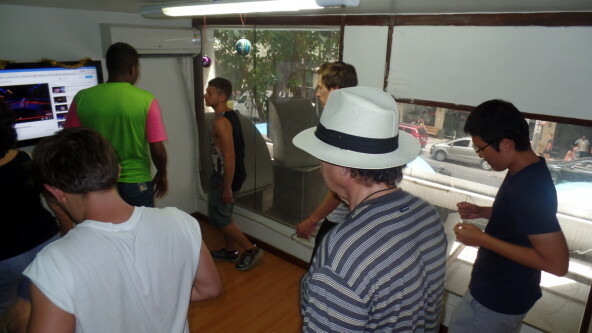 Gathering samba and Portuguese was really funny because the students got really excited and could practice the language. 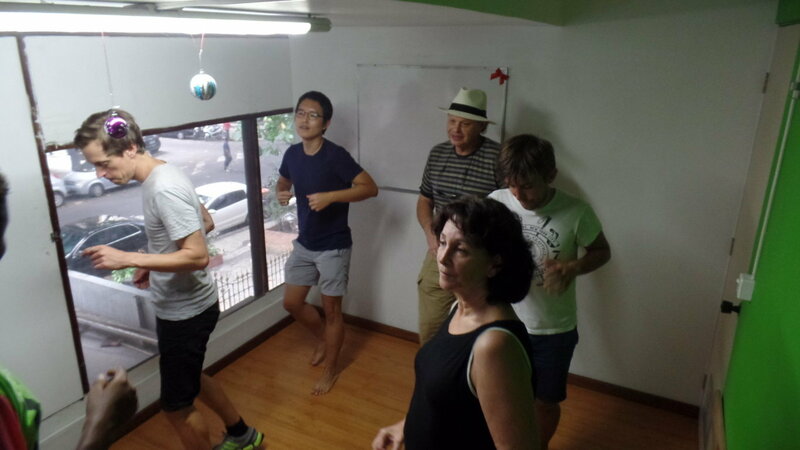 Before starting the class, the instructor Castro, talked about the samba a little bit and its importance for the Brazilian culture. 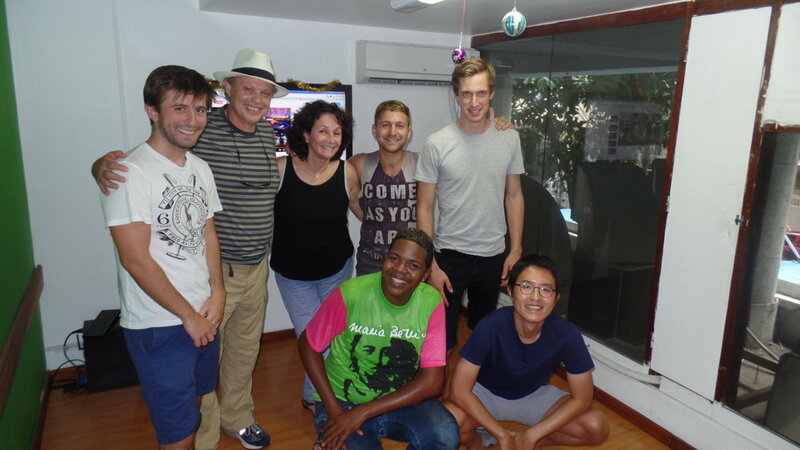 It seemed very difficult in the beginning but our students showed and proved that they can put on a nice performance in Copacabana at new years eve. Some students even said that samba is more difficult than Portuguese. Come and take part in our RioLIVE! Activities having fun at the same time that you learn Portuguese.